The WORCESTER PARK Blog :: Ah There it is! 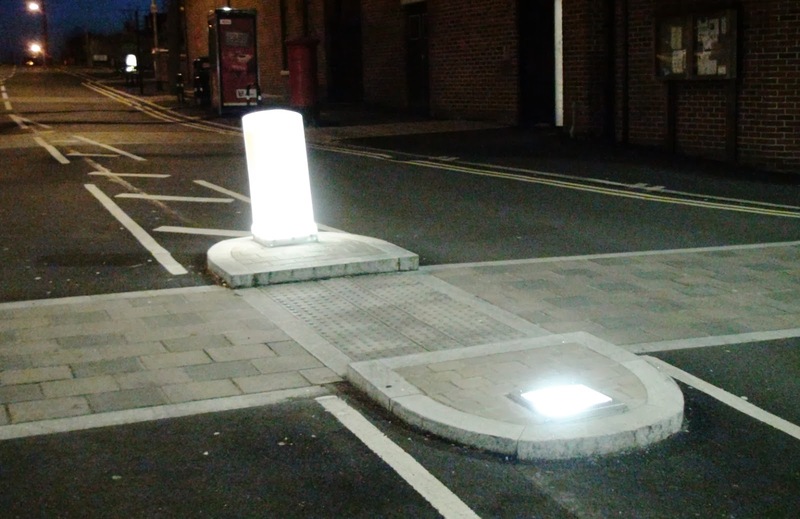 Wandering up Central Road this evening I noticed a square of light in Windsor Road where a bollard ought to go. 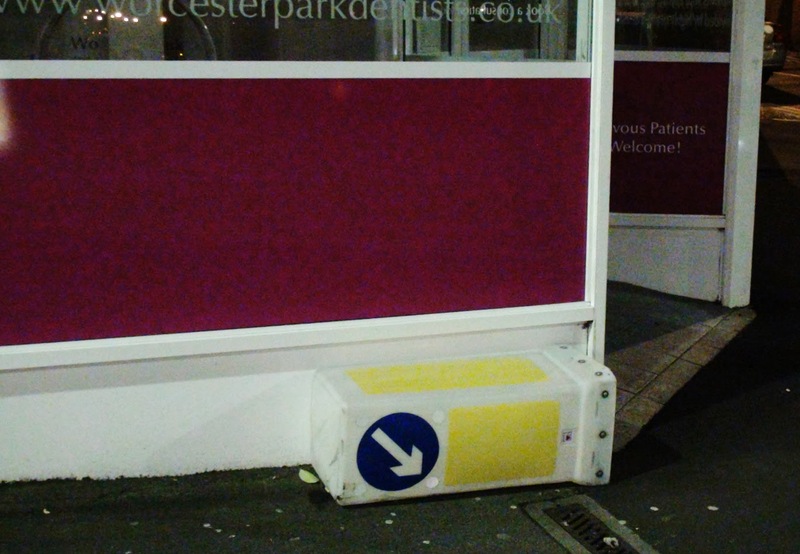 A quick scan revealed the missing bollard snuggled up against the Worcester Park Dentists, I suspect placed there by a concerned citizen after I can only assume it was either hit by a car or kicked off by an unruly drunken yob. Did anyone see what happened by any chance?